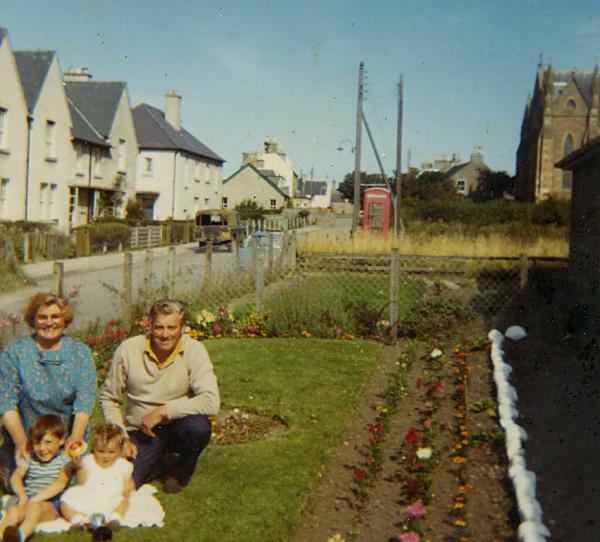 Peggy and Donnie Hossack with Paul and Serena Shepherd in the front garden of 18 Bayview Crescent. Note the telephone box where the road into Townlands park is now. Nice to see my children - also Peggy and Donny. I have a photo somewhere, looking across towards the phonebox, before Townlands when it used to be fields, with the big house in the background. Used to have great fun playing in the hay bales. Did they just move the telephone then when they started building?